my publications at Google Scholar, together with citations, h-index etc. Downloads are available via the links on this page. the quantum page with publications of my ERC Advanced Grant: Quantum Computation, Logic, and Security. B. Jacobs, Categorical Logic and Type Theory, Studies in Logic and the Foundations of Mathematics 141, North Holland, Elsevier, 1999. E. Dommering, B. Jacobs, K. Spaink and D. van Weelden, Wie is U?, The Next Ten Years, Deel 5, Nijgh & Van Ditmar/XS4ALL, Amsterdam, 2010. B. Jacobs, Introduction to Coalgebra. 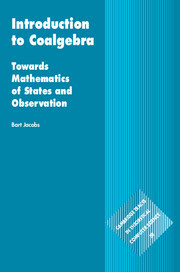 Towards Mathematics of States and Observations. Cambridge Univ. Press, 2016. An earlier draft version is freely available, so that you can get an impression. B. Jacobs, De Menselijke Maat in ICT, 2007. Free online book, in Dutch. B. Jacobs, F. Zanasi and A. Kissinger, Causal Inference by String Diagram Surgery. FoSSaCS 2019, to appear. B. Jacobs, Lower and Upper Conditioning in Quantum Bayesian Theory, Conference on Quantum Physics and Logic (QPL 2018), EPTCS 287, p. 225-238, 2019. P. Wolters and B. Jacobs, The security of access to accounts under the PSD2, Computer Law & Security Review 35(1), p. 29-41, 2019. Praktijklessen voor datakluizen, iBestuur, 22/2/2019. B. Jacobs and Bram Westerbaan, A Note on Distances between Probabilistic and Quantum distributions. In: A. Silva (ed), Mathematical Foundations of Program Semantics (MFPS 2017), ENTCS 336, p. 173-185, 2018. P. Wolters and B. Jacobs, De toegang tot betaalrekeningen onder PSD2 , Ondernemingsrecht 2018/38. B. Jacobs and D. Sprunger, Neural Nets via Forward State Transformation and Backward Loss Transformation. B. Jacobs, P. Levy and J. Rot, Steps and Traces, Coalgebraic Methods in Computer Science (CMCS 2018), to appear. R. Adams and B. Jacobs, A Type Theory for Probabilistic and Bayesian Reasoning. In: T. Uustalu (ed), 21st Int. Conf. on Types for Proofs and Programs (TYPES 2015), LIPIcs 69, p.1:1-1:34, 2018. Wet DO: achterhaald en nodeloos duur, iBestuur, 21/11/2018. AVG & eID, iBestuur, 6/6/2018. Guest column Een blockchain aan je been in: SURF magazine, March 2018 [magazine link] [reproduced online copy]. Podcast Het woord is aan de Goeroe, on BNR Nieuwsradio, 20/2/2018. Gespetter en gesputter met de AVG, iBestuur, 19/2/2018. B. Jacobs. Quantum effect logic in cognition. Journ. Math. Psychology 81, 2017, p. 1-10. K. Cho, B. Jacobs, Disintegration and Bayesian Inversion, Both Abstractly and Concretely, Mathematical Structures in Computer Science, to appear. B. Jacobs, Vertrouwen en Authenticatie. In: S. Bartels, C. Jansen, B. Schuijling, N. Vermunt (eds. ), Vertrouwen in het burgelijke recht. Liber amicorum prof. mr. S.C.J.J. Kortmann, Wolters Kluwer 2017, p. 239-245. B. Jacobs, Hyper Normalisation and Conditioning for Discrete Probability Distributions. Logical Methods in Computer Science 13(3:17), 2017. B. Jacobs, A Channel-Based Perspective on Conjugate Priors. Mathematical Structures in Computer Science, to appear. E. Verheul and B.Jacobs, Polymorphic Encryption and Pseudonymisation in Identity Management and Medical Research. Nieuw Archief voor Wiskunde NAW, 5/18, nr. 3, 2017, p. 168-172. G. Alpár, F. van den Broek, B. Hampiholi, B. Jacobs, W. Lueks, S. Ringers. IRMA: practical, decentralized and privacy-friendly identity management using smartphones. 10th Workshop on Hot Topics in Privacy Enhancing Technologies (HotPETs 2017), Minneapolis, USA, 2017. B. Jacobs, F. Zanasi, A Formal Semantics of Influence in Bayesian Reasoning. In: K. Larsen, H. Bodlaender and J.-F. Raskin (eds), Mathematical Foundations of Computer Science (MFCS), LIPIcs 83, p.21:1-21:14, 2017. K. Cho, B. Jacobs, The EfProb Library for Probabilistic Calculations. In: F. Bonchi and B. König (eds), CALCO 2017. LIPIcs 72, 25:1-7, 2017 (Calco Tools session). B. Jacobs, From Probability Monads to Commutative Effectuses. To appear in: Journ. of Logical and Algebraic Methods in Programming 94, p.200-237. Reason yourself out of blockchains, iBestuur, 28/11/2017. PSD2, een Europese strategische blunder, iBestuur, 12/9/2017. B. Jacobs and J. Mandemaker and R. Furber, The Expectation Monad in Quantum Foundations. In: Information and Computation, 250, p. 87-114. W. Hino, H. Kobayashi, I. Hasuo and B. Jacobs. Healthiness from Duality. Logic in Computer Science (LICS) 2016. E. Verheul, B. Jacobs, C. Meijer, M. Hildebrandt and J. de Ruiter, Polymorphic Encryption and Pseudonymisation for Personalised Healthcare, whitepaper, 2016. B. Jacobs and Fabio Zanasi, A predicate/state transformer semantics for Bayesian learning. In: L. Birdedal (ed), Mathematical Foundations of Program Semantics (MFPS 2016), ENTCS 325, p.185-200, 2016. B. Jacobs, Effectuses from Monads. In: L. Birdedal (ed), Mathematical Foundations of Program Semantics (MFPS 2016), ENTCS 325, p.169-183, 2016. B. Jacobs and C. Löding (eds), Foundations of Software Science and Computation Structures (FoSSaCS 2016), Springer LNCS 9634, Berlin, 2016. B. Jacobs, Affine Monads and Side-Effect-Freeness, In: I. Hasuo (ed. ), Coalgebraic Methods in Computer Science (CMCS 2016), Springer LNCS 9608, p.53-72, 2016. B. Jacobs and J. Mandemaker, Relating Operator Spaces via Adjunctions. In: J. Chubb, V. Harizanov, and A. Eskandarian (eds. ), Logic and Algebraic Structures in Quantum Computing, Lect. Notes in Logic 45, Cambridge Univ. Press, p.123-150, 2016. B. Jacobs, Select while you collect. Over de voorgestelde interceptiebevoegdheden voor inlichtingen- en veiligheidsdiensten, Nederlands Juristen Blad (NJB), afl. 4, p.256-261, 19 Jan. 2016 (in Dutch). B. Jacobs, Aftercare for the Internet of Things. In: CSR Magazine 2, published by the Dutch Cyber Security Council, p.61-62, Jan. 2016. K. Cho, B. Jacobs, Bas Westerbaan, Bram Westerbaan, An introduction to Effectus Theory, 2015. B. Jacobs, A. Silva, and A. Sokolova, Trace Semantics via Determinization. Journ. of Computer and System Sciences 81(5), p.859-789, 2015. K. Cho, B. Jacobs, , Bas Westerbaan, Bram Westerbaan, Quotient-Comprehension Chains. In: C. Heunen, P. Selinger and J. Vicary (eds): Proceedings of the 12th International Workshop on Quantum Physics and Logic (QPL 2015), Oxford, U.K., July 15-17, 2015, EPTCS 195, p.136-147. R. Furber and B. Jacobs, Towards a Categorical Account of Conditional Probability. In: C. Heunen, P. Selinger and J. Vicary (eds): Proceedings of the 12th International Workshop on Quantum Physics and Logic (QPL 2015), Oxford, U.K., July 15-17, 2015, EPTCS 195, p.179-195. B. Jacobs, New Directions in Categorical Logic, for Classical, Probabilistic and Quantum Logic. In: Logical Methods in Computer Science 11(3), p.1-76, Oct. 2015. R. Furber and B. Jacobs, From Kleisli categories to commutative C*-algebras: Probabilistic Gelfand Duality. In: Logical Methods in Computer Science 11(2), p.1-28, June 2015. B. Hampiholi, G. Alpár, F. van den Broek, B. Jacobs. Towards practical Attribute-Based Signatures. In: R.S. CHakraborty and P. Schwabe and J. Solworth (eds), Proceedings of the Fifth International Conference on Security, Privacy, and Applied Cryptography Engineering (SPACE 2015), Jaipur, India, Springer LNCS 9354, p.310-328, 2015. B. Hampiholi, B. Jacobs. Trusted self-enrolment of attribute-based credentials on mobile phones. IFIP Summer School on Privacy and Identity Management 2015, Edinburgh, 2015. B. Jacobs and Bram Westerbaan, An Effect-theoretic Account of Lebesgue Integration. In: D. Ghica (ed), MFPS 2015, ENTCS 319, p.239-253, 2015. B. Jacobs, A Recipe for State-and-Effect Triangles. In: L. Moss and P. Sobocinski (eds. ), CALCO 2015. LIPIcs 35, p.116-129, 2015. Winner of the best presentation award. B. Jacobs, Dijkstra and Hoare monads in monadic computation, Theoretical Computer Science 604, p.30-45, 2015. B. Jacobs, De overheid als verschaffer en beschermer van digitale identiteiten. Regelmaat 30, Afl. 1, 2015, p.37-44. B. Jacobs, Bas Westerbaan, Bram Westerbaan, States of Convex Sets, In: A. Pitts (ed. ), FoSSaCS 2015, Springer LNCS 9034, p.87-101, 2015. B. Jacobs Klantverraders, blog on PI.lab, 13 dec. 2015. B. Jacobs Een Assessment van een Privacy Impact Assessment: Idensys onder de loep, blog on PI.lab, 9 nov. 2015. B. Jacobs, Het internet der ondingen, 30 sept. 2015. B. Jacobs, Preface to: Marcel Becker, Ethiek van de digitale media (Boom 2015), blog on PI.lab, 6 sept. 2015. B. Jacobs, Fittie Met BuZa, blog on PI.lab, 19 april 2015. B. Jacobs and H. Bos, Responsible Disclosure and Repair. In: CSR Magazine 1, published by the Dutch Cyber Security Council, p.29-30, April 2015. B. Jacobs, Vluchtig en Stelselmatig. Een bespreking van interceptie door inlichtingen- en veiligheidsdiensten, NJB blog, 5 feb. 2015. B. Jacobs, Bayesian Networks as Coalgebras, manuscript. B. Jacobs, A. Silva, Automata Learning: A Categorical Perspective. In: F. van Breugel, E. Kashefi, C. Palamidessi, J. Rutten (eds. ), Horizons of the Mind. A Tribute to Prakash Panangaden, Springer LNCS 8464, p.384-406, 2014. B. Jacobs, Two of the Grand Changes through Computer and Network Technolog. In: M. Hansen and J.-H. Hoepman and R. Leenes and D. Whitehouse (eds. ), Privacy and Identity Management for Emerging Services and Technologies, Springer IFIP Adv. in Inf. and Comm. Techn. 421, p.1-11, 2014. B. Jacobs, A. Silva, Initial Algebras of Terms, with binding and algebraic structure. In: C. Casadio, B. Coecke, M. Moortgat, P. Scott (eds. ), Categories and Types in Logic, Language, and Physics, Springer LNCS 8222, p.211-234, 2014. B. Jacobs, Dijkstra Monads in Monadic Computation. In: M. Bonsangue (ed), Coalgebraic Methods in Computer Science (CMCS 2014), Springer LNCS 8446, p.135-150, 2014. B. Jacobs, De DDoS Paradox. Ontsluiten door Afsluiten, Nederlands Juristen Blad (NJB), afl. 32, p.2191-2795, 20 sept. 2013 (in Dutch). B. Jacobs, Wat ben je? In: M. Geels and T. van Opijnen, Nederland in Ideeën, Maven Publishing, 2013, p.261-264. B. Jacobs, Bases as Coalgebras. Logical Methods in Computer Science 9(3), sept. 2013. B. Jacobs, On Block Structures in Quantum Computation. In: D. Kozen and M. Mislove (eds), Mathematical Foundations of Program Semantics (MFPS 2013), ENTCS 298, p.233-255, 2013. I. Hasuo, K. Cho, T. Kataoka, and B. Jacobs. Coinductive Predicates and Final Sequences in a Fibration. In: D. Kozen and M. Mislove (eds), Mathematical Foundations of Program Semantics (MFPS 2013), ENTCS 298, p.197-214, 2013. B. Jacobs, Dagger Categories of Tame Relations. Logica Universalis 7(3), p.341-370, 2013. B. Jacobs, Measurable Spaces and their Effect Logic. Logic in Computer Science (LICS 2013). D. Coumans and B. Jacobs. Scalars, monads, and categories. In: C. Heunen and M. Sadrzadeh and E. Grefenstette (eds), Quantum Physics and Linguistics. A Compositional, Diagrammatic Discourse. Oxford Univ. Press, 2013, p.184-216. F.D. Garcia, E. Verheul and B.Jacobs. Cell-based Privacy-Friendly Roadpricing. In: Computers and Mathematics with Applications, Vol. 65, Issue 5, 2013, p.774-785. R. Furber and B. Jacobs, From Kleisli categories to commutative C*-algebras: Probabilistic Gelfand Duality. In: R. Heckel and S. Milius (eds), Conference on Algebra and Coalgebra in Computer Science (CALCO'13) Springer LNCS 8089, p. 141-157, 2013. G. Alpár and B. Jacobs. Credential Design in Attribute-Based Identity Management. In: R. Leenes and E. Kosta (eds), Bridging distances in technology and regulation, 3rd TILTing Perspectives Conference, 2013, p.189-204. G. Alpár and B. Jacobs. Towards Practical Attribute-Based Identity Management: The IRMA Trajectory. In: S. Fischer-Hübner, E. de Leeuw and C. Mitchell (eds), Policies and Research in Identity Management: Third IFIP WG 11.6 Working Conference (Idman 2013), IFIP Adv. in Inf. and Comm. Techn., Vol. 396, Springer, 2013, p.1-3. B. Jacobs, Attributen in plaats van Identiteiten, IT-auditor, 1/2013, p.29-35 (Dutch language introduction about the IRMA project). B. Jacobs, Digitaal tafelzilver beter beveiligen tegen afluisteren in newspaper Trouw, 30/10/2013. This opinion article is based on a topical lecture (in Dutch) about the Snowden affair, on 29/10/2013, see the YouTube video. B. Jacobs, Laat weten wat je monitort. In: FD Outlook, sept. 2013, p. 36-37. B. Jacobs and J. Mandemaker, The Expectation Monad in Quantum Foundations. In Elect. Proc. in Theor. Comp. Sci. Vol. 95, 2012, p.143-182: proceedings of Quantum Physics and Logic QPL 2011. B. Jacobs, Policeware, Nederlands Juristen Blad (NJB), afl. 39, p.2761-2764, 9 nov. 2012 (in Dutch). F.D. Garcia, E. Verheul and B.Jacobs. Cell-based Privacy-Friendly Roadpricing. To appear in: Computers and Mathematics with Applications, 2012. F.D. Garcia, E. Verheul and B.Jacobs. Cell-based Roadpricing. In: S. Petkova-Kikova, A. Pashalidis, G. Pernul (eds. ), EuroPKI 2011, Springer LNCS 7163, p.106-122, 2012. B. Jacobs and J. Mandemaker, Coreflections in Algebraic Quantum Logic. Foundations of Physics, 10 May 2012. First appearance in: Informal proceedings of Quantum Physics and Logic (QPL 2010), May 29-30, Oxford. B. Jacobs, Bedwelmende zelfontplooiing (in Dutch). In: T. Kwakkelstein, A. van Dam en A. van Ravenzwaaij (eds), Van verzorgingsstaat naar waarborgstaat. Nieuwe kansen voor overheid en samenleving, Boom, 2012, p. 85-97. R. Atkey, N. Ghani, B. Jacobs, and P. Johann, Fibrational Induction Meets Effects. In: L. Birkedal (ed. ), FoSSaCS 2012, Springer LNCS 7213, 2012, p.42-57. B. Jacobs, A. Silva, and A. Sokolova, Trace Semantics via Determinization. In: L. Schröder and D. Patinson (eds), Coalgebraic Methods in Computer Science (CMCS 2012), Springer LNCS 7399, 2012, p.109-129. Koester de professional, in iBestuur, Nr. 2, april 2012, p. 37. F.D. Garcia and B. Jacobs, Privacy-friendly Energy-metering via Homomorphic Encryption. In: J. Cuellar, J. Lopez, G. Barthe and A. Pretschner (eds), Security and Trust Management (STM'2010), 2011, Springer LNCS 6710, p.226-238. M. Hildebrandt and B. Jacobs, De computer heeft gelijk. In: P. van Kempen and A. Machielse and H. Sackers and P. Vegter (eds), Levend Strafrecht. Strafrechtelijke vernieuwingen in een maatschappelijke context. Liber amicorum Ybo Buruma, Kluwer, Deventer, p. 255--269, 2011. J.-H. Hoepman and B. Jacobs, Privacy: code in context. In: V. Frissen, L. Kool, and M. van Lieshout (eds), De Transparante Samenleving. Jaarboek ICT en Samenleving 2011, Media Update, Gorredijk, p. 237-252, 2011. B. Jacobs, Bases as Coalgebras. In: A. Corradini, B. Klin and C. Cirstea (eds), Conference on Algebra and Coalgebra in Computer Science (CALCO'11) Springer LNCS 6859, p.237-252, 2011. B. Jacobs and Erik Poll, Biometrics and Smart Cards in Identity Management. In: S. van der Hof and M. M. Groothuis (eds), Innovating Government. Normative, policy and technological dimensions of modern government, p.419-439, T.M.C. Asser Press/Springer, 2011. B. Jacobs, Autonomie en Transparantie (in Dutch). In: M. Kowalski and M. Meeder (eds. ), Contraterrorisme en Ethiek, Boom, 2011, p.56-68. I. Hasuo and B. Jacobs. Traces for Coalgebraic Components. Mathematical Structures in Computer Science 21, 2011, p.267-320. B. Jacobs. Involutive Categories and Monoids, with a GNS-correspondence. Foundations of Physics, 8 Sept. 2011. C. Heunen and B. Jacobs, Quantum logic in dagger kernel categories. Proceedings of the 6th International Workshop on Quantum Physics and Logic (QPL 2009), ENTCS 270(2), p.79-103, 2011. Eindelijk op de agenda, na 10 jaar In: Magazine nationale veiligheid en crisisbeheersing dec 2011, p.29. 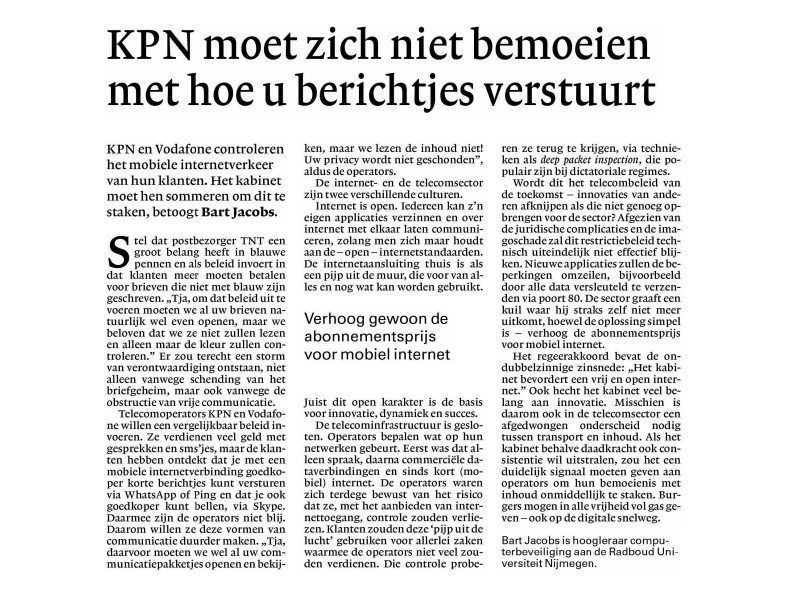 Opinion article KPN moet zich niet bemoeien met hoe u berichtjes verstuurt, in national newspaper NRC, 17/5/11. Letter De Eerste Kamer moet juist voor het EPD stemmen, in national newspaper NRC next, 14/3/11. Opinion article Wikileaks was geen toeval, popular science journal EOS Magazine, 20/1/11 (together with Klaus Kursawe). B. Jacobs, Het elektronisch patiëntendossier vanuit informatiebeveiligingsperspectief. In: G. Munnichs, M. Schuijff en M. Besters (red. ), Databases Over ICT-beloftes, informatiehonger en digitale autonomie. Rathenau Instituut, 2010, p. 44-52. B. Jacobs and A. Sokolova, Exemplaric Expressivity of Modal Logics. Journal of Logic and Computation 20(5), p.1041-1068, 2010. B. Jacobs, Convexity, Duality, and Effects. In: C.S. Calude and V. Sassone (eds. ), Theoretical Computer Science. 6th IFIP TC 1/WG 2.2 International Conference, TCS 2010, IFIP Advances in Information and Communication Technology, 2010, Volume 323, Springer Boston, p.1-19. B. Jacobs, Orthomodular lattices, Foulis Semigroups and Dagger Kernel Categories. Logical Methods in Computer Science 6(2), june 2010. B. Jacobs, Predicate Logic for Functors and Monads. I. Hasuo and B. Jacobs, Milad Niqui, Coalgebraic Representation Theory of Fractals. In: P. Selinger (ed. ), Mathematical Foundations of Programming Semantics (MFPS XXVI), ENTCS, 2010. B. Jacobs, Architecture is Politics: Security and Privacy Issues in Transport and Beyond. In: S. Gutwirth and Y. Poullet and P. De Hert (eds. ), Data Protection in a Profiled World, Springer 2010, p.289-299. C. Heunen and B. Jacobs, Quantum logic in dagger kernel categories. Order 27(2), p.177-212, 2010. B. Jacobs, From Coalgebraic to Monoidal Traces. In: Coalgebraic Methods in Computer Science (CMCS'10), ENTCS 264, p.125-140, 2010. 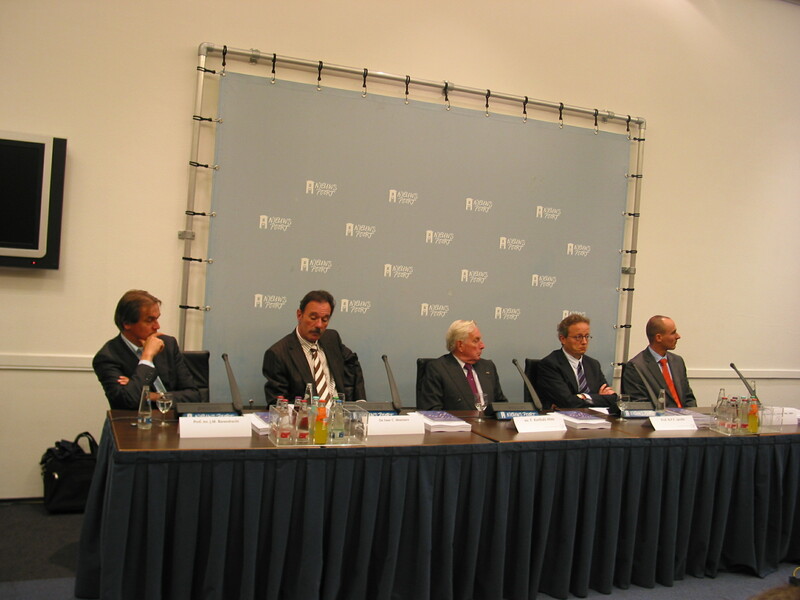 L. Batina, J.-H. Hoepman, B. Jacobs, W. Mostowski, and P. Vullers. Developing efficient blinded attribute certificates on smart cards via pairings. In: D. Gollmann and J.-L. Lanet, editors, Smart Card Research and Advanced Applications, 9th IFIP WG 8.8/11.2 International Conference, CARDIS 2010, Springer LNCS 6035, p.209-222. Opinion article Moeten we echt alles opslaan?, in national newspaper NRC next, 3/2/10. B. Jacobs and I. Hasuo, Semantics and Logic for Security Protocols, Journal of Computer Security 17(6), 2009, p.909-944. B. Jacobs and W. de Jonge, Safety in Numbers - Road Pricing beyond 'Thin' and 'Fat', In: Thinking Highways (Europe/RoW edition), Vol. 4, No. 3 (Sep/Oct 2009), p. 84-87. B. Jacobs, Keeping our Surveillance Society Non-Totalitarian. In: Amsterdam Law Forum Vol. 1, no. 4, p. 19-34, 2009. B. Jacobs and W. Pieters, Electronic Voting in the Netherlands: From Early Adoption to Early Abolishment. In: Foundations of Security Analysis and Design V: FOSAD 2007/2008/2009 Tutorial Lectures. LNCS 5705, p. 121-144, 2009. H. Tews, B. Jacobs, Performance issues of Selective Disclosure and Blinded Issuing Protocols on Java Card. In: O. Markowitch et al., Information Security Theory and Practice. LNCS 5746, p. 95-111, 2009. B. Jacobs, C. Heunen, I. Hasuo, Categorical semantics for arrows. Journal of Functional Programming, volume 19 (3-4), p.403-438. M. Coster, B. Jacobs, K. Landsman, De overval: Fox-IT. Nieuw Archief voor Wiskunde, 5/10, nr.2, june 2009. W. de Jonge and B. Jacobs, Privacy-friendly Electronic Traffic Pricing via Commits. In: P. Degano, J. Guttman, and F. Martinelli (Eds. ): FAST 2008, LNCS 5491, p. 143-161, 2009. Proceedings of the workshop Formal Aspects in Security and Trust (FAST), Malaga, oct. 2008. Pas op: in je blootje vat je kou! In: Magazine nationale veiligheid en crisisbeheersing nov/dec 2009, p.8-9. EPD opinie (in Dutch), opinion article as preparation for Senate expert hearing on 9/12/09. We vallen ten prooi aan Europese opslaghysterie, on data retention in national newspaper Trouw, 26/6/09. B. Jacobs, De Voorspelde Mens. In: L. Consoli and R. Hoekstra (ed. ), Technologie en Mensbeeld, Valkhof Pers, 2008, p.52-60. F. Garcia, G. de Koning Gans, R. Muijrers, P. van Rossum, R. Verdult, R. Wichers Schreur and B. Jacobs, Dismantling Mifare Classic. In: Proceedings of ESORICS 2008, LNCS 5283, Springer, 2008, p.97-114. I. Hasuo, B. Jacobs and A. Sokolova, The Microcosm Principle and Concurrency in Coalgebra. Foundations of Software Science and Computation Structures (FoSSaCS 2008). LNCS 4962, Springer, p.246-260. M. van Eekelen, O. Shkaravska, R. van Kesteren, B. Jacobs, Erik Poll and S. Smetsers. AHA: Amortized Heap Space Usage Analysis. Project Paper. In: M. Morazán and H. Nillsson (eds). Trends in Functional Programming volume 8 (Selected Papers of the Eighth Symposium on Trends in Functional Programming, TFP 2007), 2008. pp. 36-53. B. Jacobs, Coalgebraic trace semantics for combined possibilitistic and probabilistic systems. Coalgebraic Methods in Computer Science (CMCS'08), ENTCS 203(5), p.131-152, 2008. B. Jacobs, S. Nouwt (from TILT), A. de Bruijn, O. Vermeulen, R. van der Knaap, C. de Bie (all 4 from PwC), Beveiligingeisen ten aanzien van identificatie en authenticatie voor toegang zorgconsument tot het Elektronisch Patiëntendossier (EPD), report commissioned by the ministry of Health, dec. 2008. F. Garcia, B. Jacobs, W. Teepe, E. Verheul, Privacybescherming Anders Betalen voor Mobiliteit, research report commissioned by RDW about road pricing, april 2008. E. Hubbers, B. Jacobs, B. Schoenmakers, H. van Tilborg, B. de Weger, Description and Analysis of the RIES Internet Voting System, Version 1.0, June 24, 2008. Vrijwillig op weg naar politiestaat on data retention in national newspaper NRC Handelsblad, 2/04/08. Infrastructuur voor openbare diensten vereist veiligheid en vertrouwen. Open letter (in Dutch) about roadpricing in reaction to an invitation to appear before a parliamentory select committee on 31/1/08. B. Jacobs and T. Uustalu, Semantics of Grammars and Attributes via Initiality. In: E. Barendsen, et al. (eds), Reflections on Type Theory, Lambda Calculus, and the Mind. Essays Dedicated to Henk Barendregt on the Occasion of his 60th Birthday, p.181-196, Dec. 2007. I. Hasuo, B. Jacobs and A. Sokolova, Generic Trace Semantics via Coinduction. Logical Methods in Computer Science, 3(4:11), 2007. B. Jacobs and M. Jochems, DigiD en Privacy, Automatisering Gids 42, 10/07. H. Meijer and J.-H. Hoepman, B. Jacobs and E. Poll, Computer security through correctness and transparancy. In: K. de Leeuw, J. Bergstra (eds. ), The History of Information Security, Elsevier 2007, p.637--653. F. Korthals Altes et al., Stemmen met Vertrouwen, report of the national advice committee on the organisation of voting in the Netherlands, sept. 2007. J.-H. Hoepman, B. Jacobs, Increased security through open source, Communications of the ACM 50(1), 2007. p.79-83. B. Jacobs, S. Smetsers, R. Wichers Schreur, Code-carrying theories, Formal Aspects of Computing 19(2), p.191-203, 2007. B. Jacobs, I. Hasuo, and T. Uustalu, Categorical Views on Computations on Trees. In: L. Arge, C. Cachin, T. Jurdzinski, A. Tarlecki (eds. ), Proc. of 34th Int. Coll. on Automata, Languages and Programming (ICALP 2007), Track B. LNCS 4596, p.619-630. Springer-Verlag, 2007. B. Jacobs and F. Korthals Altes, Vertrouw op het high-techpotlood in: NRC Handelsblad, 3/10/2007. B. Jacobs, W. Teepe, Raar dat stemhulp alles van u weet in: Volkskrant, 5/03/07. As a result of this article the national privacy commissioner (College Bescherming Persoonsgegevens) has decided to start an investigation into the privacy management of the voting advice site Stemwijzer, see for instance this news flash. J.-H. Hoepman, E. Hubbers, B. Jacobs, M. Oostdijk, and R. Wichers Schreur. Crossing Borders: Security and Privacy Issues of the European e-Passport. In 1st Int. Workshop on Security, Kyoto, Japan, October 23-24 2006. Springer LNCS 4266, p.152-167. B. Jacobs and I. Hasuo, Freyd is Kleisli, for Arrows. In: eWiC proceedings of: Workshop on Mathematically Structured Functional Programming (MSFP'06). B. Jacobs, Distributive laws for the Coinductive Solution of Recursive Equations, Information and Computation 204(4), 2006, p.561-587. C. Heunen and B. Jacobs, Arrows, like Monads, are Monoids. ENTCS proceedings (volume 158) of MFPS 22. I. Hasuo, B. Jacobs and A. Sokolova, Generic Trace Theory. ENTCS proceedings (volume 164-1)of CMCS 2006. B. Jacobs, J. Rusby, PVS. In: F. Wiedijk, The Seventeen Provers of the World, Springer LNAI 3600, p.24--27, 2006. Spoken column from a discussion evening in political and cultural centre De Balie, Amsterdam 17 nov. 2006. B. Jacobs, Stemcomputer vraagt om fraude in national newspaper NRC Handelsblad (and also in the companion paper NRC.next), 12/10/06. B. Jacobs, Biometrische gegevens horen niet in Databank in: Volkskrant, 28/02/06. J.-H. Hoepman and B. Jacobs, E-passports without the big picture, on: egovmonitor.com, 20/02/06. B. Jacobs, Burger moet geen gelabeld vee worden, in: Reformatorisch Dagblad, 17/02/06. B. Jacobs, Select before you Collect Ars Aequi, jaargang 54, dec. 2005, p.1006-1009 (in Dutch). E. Hubbers, B. Jacobs, and W. Pieters. RIES - Internet Voting in Action. In: R. Bilof (ed. ), Proceedings of the 29th Annual International Computer Software and Applications Conference, COMPSAC'05, p.417-424. IEEE Computer Society, 2005. C.-B. Breunesse, B. Jacobs, N. Cataño and M. Huisman, Formal Methods for Smart Cards: an experience report. Science of Computer Programming 55 (2005), p.53-80. E. Hubbers, B. Jacobs, W. Pieters, RIES - Internet Voting in Action. Technical Report NIII-R0449, Institute for Computing and Information Sciences, University of Nijmegen. B. Jacobs, `Vakmanschap van overwegend belang binnen informatiebeveiliging', Questafette in the magazine Informatiebeveiliging, nr. 6, 2004, p.4-5. E. Hubbers, B. Jacobs, Stemmen via internet geen probleem, Automatisering Gids on 15 okt. 2004. B. Jacobs, Ongebreidelde functionaliteit grootste vijand beveiliging, Automatisering Gids on 24 sept. 2004. B. Jacobs, Frits Vaandrager, Onderzoeksagenda remt innovatief onderzoek. Automatisering Gids on 9 July 2004. B. Jacobs, Relating two Approaches to Coinductive Solution of Recurisve Equations. In: J. Adámek and S. Milius (eds), Coalgebraic Methods in Computer Science (CMCS) 2004, Electr. Notes in Theor. Comp. Sci. 106, 2004. B. Jacobs, Trace Semantics for Coalgebras, In: J. Adámek and S. Milius (eds), Coalgebraic Methods in Computer Science (CMCS) 2004, Electr. Notes in Theor. Comp. Sci. 106, 2004. B. Jacobs, Weakest Precondition Reasoning for Java Programs with JML Annotations. Journal of Logic and Algebraic Programming 58, p.61-88. B. Jacobs, M. Oostdijk, M. Warnier, Source Code Verification of a Secure Payment Applet, Journal of Logic and Algebraic Programming, 58 p.107-120. Technical Report NIII-R0310, Institute for Computing and Information Sciences, University of Nijmegen. J.-H. Hoepman and B. Jacobs, Open source software. Bron van vertrouwen, I&I, 21(6), 2003 p.12-19. J.-H. Hoepman and B. Jacobs, Elektronisch handtekening. Wie tekent ervoor?, I&I, 21(3), 2003, p.8-9. See also the resulting Editorial comment (hoofdartikel, © NRC) in the national newspaper NRC of sept. 2, 2003. B. Jacobs, De Computer de Wet Gesteld, Inaugural Speech, 16 may 2003, ISBN 90 901 6917 2. B. Jacobs and E. Poll, Coalgebras and monads in the semantics of Java. Theoretical Computer Science, 291/3 p.329-349, 2003. B. Jacobs, The temporal logic of coalgebras via Galois algebras Mathematical Structure in Computer Science 12, p.875-903, 2002. Technical Report CSI-R9906, Computing Science Institute, University of Nijmegen. B. Jacobs, Many-Sorted Coalgebraic Modal Logic: a Model-theoretic Study Theoret. Informatics and Applications 35(1) (2001) p.31-59. E. Poll, J. van den Berg, B. Jacobs, Formal Specification of the JavaCard API in JML: the APDU class. Computer Networks 36(4) (2001) p.407-421. J. Rothe, B. Jacobs, H. Tews, The Coalgebraic Class Specification Language CCSL. Journal of Universal Computer Science, 7(2), 2001. M. Huisman, B. Jacobs, J. van den Berg, A case study in class library verification: Java's vector class. Software Tools for Technology Transfer 3(3), 2001, p.332-352. Available as Technical Report CSI-R0007, Computing Science Institute, University of Nijmegen. E. Poll, J. van den Berg, B. Jacobs, Formal Specification of the JavaCard API in JML: the APDU class Computer Networks 36(4), 2001, p.407-421. B. Jacobs, Object-oriented hybrid systems of coalgebras plus monoid actions. Theor. Comput. Science 239 (2000), p.41-95. B. Jacobs, Coalgebras in Specification and Verification for Object-Oriented Languages. In: Newsletter 3 of the Dutch Association for Theoretical Computer Science (NVTI), 1999, p.15-27. U. Hensel and B. Jacobs, Coalgebraic Theories of Sequences in PVS. Journal of Logic and Computation 9(4), 1999, p.463-500. The paper describes a fully formalised and verified coalgebraic theory of sequences in the prototype verification system PVS. The PVS sources are available. B. Jacobs, Abstracte Programmeerkunst, Over de grenzen van het weten. Jaarboek 1999, Vereniging van Akademie-onderzoekers. B. Jacobs, J. van den Berg, M. Huisman, M. van Berkum, U. Hensel, H. Tews, Reasoning about Java Classes (Preliminary Report). Object-Oriented Programming Systems, Languages and Applications, ACM Press, p.329-340, 1998. C. Hermida and B. Jacobs, Structural induction and coinduction in a fibrational setting, Information and Computation 145 (1998), p.107-152. B. Jacobs and J. Rutten, A Tutorial on (Co)Algebras and (Co)Induction. EATCS Bulletin 62, 1997, p.222-259. B. Jacobs, Behaviour-Refinement of Coalgebraic Specifications with Coinductive Correctness Proofs. In: M. Bidoit and M. Dauchet (eds.) TAPSOFT'97: Theory and Practice of Software Development Springer LNCS 1214, p.787-802, 1997. B. Jacobs, Coalgebraic specifications and models of deterministic hybrid systems. In: M. Wirsing and M. Nivat (eds.) Algebraic Methodology and Software Technology (AMAST), Springer LNCS 1101, 1996, p.520-535. B. Jacobs, Inheritance and cofree constructions. In: P. Cointe (ed.) European Conference on object-oriented programming (ECOOP) (Springer LNCS 1098, Berlin, 1996) 210 - 231. B. Jacobs, Objects and classes, co-algebraically. In: B. Freitag, C.B. Jones, C. Lengauer, and H.-J. Schek (eds) Object-Orientation with Parallelism and Persistence Kluwer Acad. Publ., 1996, p. 83--103. B. Jacobs, On Cubism. Journ. of Functional Programming 6, p.379-391, 1996. B. Jacobs, Mongruences and cofree coalgebras. In: V.S. Alagar and M. Nivat (eds.) Algebraic Methodology and Software Technology (AMAST 1995) Springer LNCS 936, 1995, p.245-260. C. Hermida and B. Jacobs, Fibrations with indeterminates: Contextual and Functional Completeness for Polymorphic Lambda Calculi. Math. Struct. in Comp. Sci. 5 (4) (1995), 501 - 531. C. Hermida and B. Jacobs, An algebraic view of structural induction. In: L. Pacholski and J. Tiuryn (eds.) Proceedings Computer Science Logic 1994 (Springer LNCS 933, Berlin 1995), 412 - 426. M. Bonsangue, B. Jacobs and J. Kok, Duality beyond Sober Spaces: Topological Spaces and Observation Frames Theor. Comp. Sci. 151 (1) (1995), 79 - 124. B. Jacobs, Parameters and Parametrization in Specification, using distributive categories. Fundamenta Informaticae 24 (3) (1995), 209 - 250. B. Jacobs, Coalgebras and Approximation. In: A. Nerode and Yu. V. Matiyasevich (eds.) Logical Foundations of Computer Science, St. Petersburg, (Springer LNCS 813, Berlin 1994), 173 - 183. B. Jacobs, Semantics of Weakening and Contraction. Annals of Pure and Applied Logic 69 (1994), 73 - 106. B. Jacobs and T. Melham, Translating Dependent Type Theory into Higher Order Logic. In: M. Bezem and J.F. Groote (eds.) Typed Lambda Calculi and Applications, Utrecht, (Springer LNCS 664, Berlin, 1993), 209 - 229. B. Jacobs, Semantics of Lambda-I and of other ``substructure'' Lambda Calculi. In: M. Bezem and J.F. Groote (eds.) Typed Lambda Calculi and Applications, Utrecht, (Springer LNCS 664, Berlin, 1993), 195-208. B. Jacobs, Comprehension Categories and the Semantics of Type Dependency. Theor. Comp. Sci. 107 (1993), 169 - 207. B. Jacobs, Simply Typed and Untyped Lambda Calculus Revisited. In: M.P. Fourman, P.T. Johnstone and A.M. Pitts (eds.) Applications of Category Theory in Computer Science (LMS 177, Camb. Univ. Press, 1992), 119 - 142. B. Jacobs, I. Margaria and M. Zacchi Filter lambda models with Polymorphic Types. Theor. Comp. Sci. 95 (1) (1992), 143 - 158. B. Jacobs, Semantics of the second order Lambda Calculus. Math. Struct. in Comp. Sci. 1 (1991), 327 - 360. B. Jacobs, Categorical Type Theory PhD. Thesis, University of Nijmegen, 1991. B. Jacobs, E. Moggi and Th. Streicher Relating Models of impredicative Type Theories. In: D.H. Pitt et al., (eds. ), Category Theory and Computer Science (Springer LNCS 530, Berlin, 1991), 197 - 218. B. Jacobs, On the Semantics of second order Polymorphic Lambda Calculus: form Bruce-Meyer-Mitchell models to Hyperdoctrine models and vice-versa. In: D.H. Pitt et al., (eds. ), Category Theory and Computer Science (Springer LNCS 389, Berlin, 1989), 198 - 212. B. Jacobs, The Inconsistency of Higher Order Extensions of Martin-Lof's Type Theory. Journ. Phil. Log. 18 (1989), 399 - 422. 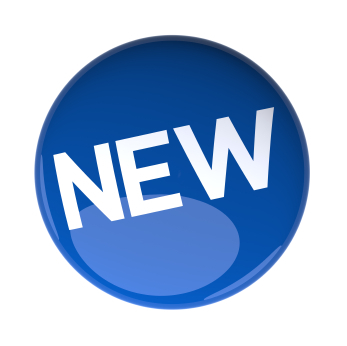 Publications of the whole department are accessible via the metis database.